IAN MATTHEWS-VALLEY HI AND SOME DAYS YOU EAT THE BEAR…SOME DAYS THE BEAR EATS YOU. Having completed recording of Journeys From Gospel Oak, Ian Matthews had discharged his contractual obligations to Vertigo. Journeys From Gospel Oak was the third and final album he owed Vertigo. This left Ian Matthews free to sign a two album deal with Elektra Records. For Ian Matthews this was the start of a new chapter in his career. Not only was Ian Matthews signing to a new record label, but he and his family had decided to move to Los Angeles. That was where Ian Matthews would record his next album Valley Hi, with producer Michael Nesmith. Valley Hi and the followup Some Days You Eat The Bear…Some Days The Bear Eats You, were recently remastered and reissued by BGO Records, and are a reminder of Ian Matthews’ Elektra Records’ years. The discussions about the album, and who was going to produce it, began before Journeys From Gospel Oak was recorded. When it came to choosing a producer, Electra Records’ founder Jac Holzman had suggested that Ian Matthews talk to Michael Nesmith. He had embarked upon a solo career after leaving The Monkees, but was also a successful songwriter and budding producer. At Jac Holzman’s suggestion, Ian Matthews flew from Britain to LA to meet Michael Nesmith, and talk about recording an album together. The talks lasted two weeks, with Michael Nesmith agreeing to produce Ian Matthews’ Elektra Records’ debut Valley Hi. For Valley Hi, Ian Matthews decided to record an album of new songs and cover versions. This included three songs that Ian Matthews had penned, Keep On Sailing, Leaving Alone and Save Your Sorrows. Ian Matthews decided to cover one of Michael Nesmith’s songs Propinquity. The other six songs included the traditional song Old Man At The Mill, Richard Thompson’s Shady Lies, Jackson Browne’s These Days, Steve Young’s Seven Bridges Road, Randy Newman’s What Are You Waiting For and Don Gibson’s Blue Blue Day. These ten tracks would become Valley, which was recorded in LA with some top musicians. Recording of Valley Hi took place at The Countryside Studio, in Los Angeles. Producer Michael Nesmith was assisted by engineer Fritz Richmond. They were joined by a band that had been hand picked to record an album of country rock. This included a rhythm section that featured drummer Danny Lane, bassist and fiddler Billy Graham and guitarists Jay Lacy, Bobby Warford and Michael Nesmith. They were augmented by keyboardist David Barry and O.J. Red Rhodes on pedal steel and dobro. This all-star band accompanied Ian Matthews, who played guitar and laid down the vocals on Valley Hi. Once it was completed, Ian Matthews’ Elektra Records’ debut was released in the summer of 1973. Before the release of Valley Hi, critics had their say on the album. It found favour with critics, who hailed the album a country rock masterpiece. That was no exaggeration. Valley Hi was a strong and cohesive album that showcased Ian Matthews’ talents as a songwriter and showcased his versatility as a singer. That’s the case from the opening bars of the Ian Matthews’ composition Keep On Sailin’ right through to the closing notes of Don Gibson’s Nashville classic Blue Blue Day. They’re just two of the highlights of Valley Hi and feature two sides to Ian Matthews. He’s equally comfortable interpreting urban and rural songs. Sometimes he stays true to the original, like on his rueful cover of Jackson Browne’s These Days, while he takes Randy Newman’s What Are You Waiting For in a new direction. Always though, he breathes life, meaning and emotion into each and every song. Especially on Shady Lies and Leaving Alone which are perfect for Ian Matthews’ interpretative style. It’s as if Ian Matthews has lived and survived the lyrics. However, one of the most melodic and beautiful songs on Valley Hi was Seven Bridges Road. Valley Hi was a country rock classic in waiting, that oozed quality, and had the potential to transform Ian Matthews’ fortunes in America. When Valley Hi was released in the summer of 1973, the album failed to find an audience. For Ian Matthews, producer Michael Nesmith and everyone at Elektra Records, this was a huge disappointment. Especially given the quality of music on Valley Hi, which nowadays, is regarded as one of the hidden gems on Ian Matthews back-catalogue. Despite the disappointment, Ian Matthews returned to the studio in late 1973 to record his second album for Elektra Records Days You Eat The Bear…Some Days The Bear Eats You. Days You Eat The Bear…Some Days The Bear Eats You. Not long after the release of Valley Hi, Ian Matthews began work on the followup album Days You Eat The Bear…Some Days The Bear Eats You. Ian Matthews wrote four new songs, A Wailing Goodbye, Keep On Saying, Home and The Fault. They were augmented by six cover versions. This included Tom Waits’ Ol’ ’55, Danny Whitten’s I Don’t Wanna Talk About It and Gene Clark’s Tried So Hard. They were joined by Donald Fagen and Walter Becker’s Dirty Work, Pete Dello’s Do I Still Figure in Your Life and Jesse Winchester’s Biloxi. These songs were recorded at one of LA’s top studios in late 1973. Elektra Sound Recorders was booked for the recording Days You Eat The Bear…Some Days The Bear Eats You. The session began on the ‘3rd’ December 1973, but there was no sign of producer Michael Nesmith. This time around, Ian Matthews decided to produce the album himself. Still though, he was joined by some top musicians. It was essentially an all-star band that joined Ian Matthews at Elektra Sound Recorders. The rhythm section included drummer Willie Leacox, bassist David Dicke and guitarist Jeff ‘Skunk’ Baxter who played electric, acoustic and pedal steel. David Lindley played lap steel guitar, while Danny Weis and Steve Gillette acoustic guitar. They were joined by pedal steel guitarist B.J. Coles, saxophonist Lyn Dobson pianist Michael Fonfars, pianist and organist David Barry, fiddler Richard Green and Richard Curtis on mandolin. Ian Matthews played guitar, added lead vocals and took charge of production. By the ‘10th’ of January 1974, Days You Eat The Bear…Some Days The Bear Eats You was complete. Now it was ready for release. Before that, critics had their say on Days You Eat The Bear…Some Days The Bear Eats You. They were greeted by carefully crafted album that was quite different from Valley Hi. 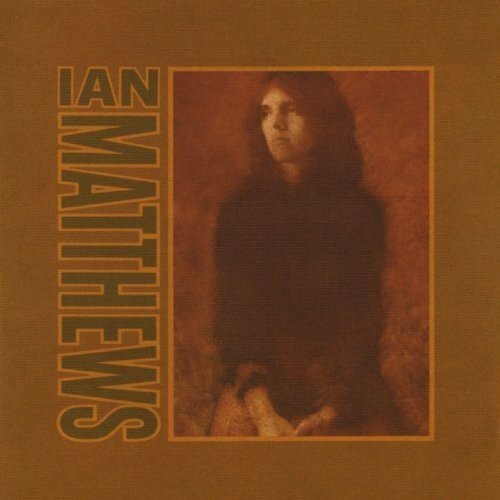 Ian Matthews moved away from country rock on Days You Eat The Bear…Some Days The Bear Eats You, and switched between the LA country sound, the West Coast Sound and soft rock. The music was slick, polished and radio friendly. That was no surprise, given the personnel that played on the album. They provided the perfect accompaniment for Ian Matthews. Especially on his rueful cover of Tom Waits’ Ol’ 55, and soul-baring covers of I Don’t Wanna Talk About It and Tried So Hard. There was also a cover of Steely Dan’s Dirty Work, where Ian Matthews and his all-star band stay true to the carefully crafted original. Then on Wailing Goodbye, Keep On Sailing and Home Ian Matthews’ showcased his talents as a singer and songwriter. However, he had kept one of his finest songs until last. The melodic and memorable strains of The Fault closedDays You Eat The Bear…Some Days The Bear Eats You. When Days You Eat The Bear…Some Days The Bear Eats You was released in 1974, the album was bang on trend. However, just like Valley Hi, the album failed to trouble the charts. Given the quality of music on Days You Eat The Bear…Some Days The Bear Eats YouYou this was a huge disappointment for everyone involved. For Ian Matthews, this was the end of the Elektra Records’ years. When his two album deal expired, it wasn’t renewed. So Ian Matthews signed to Columbia Records. 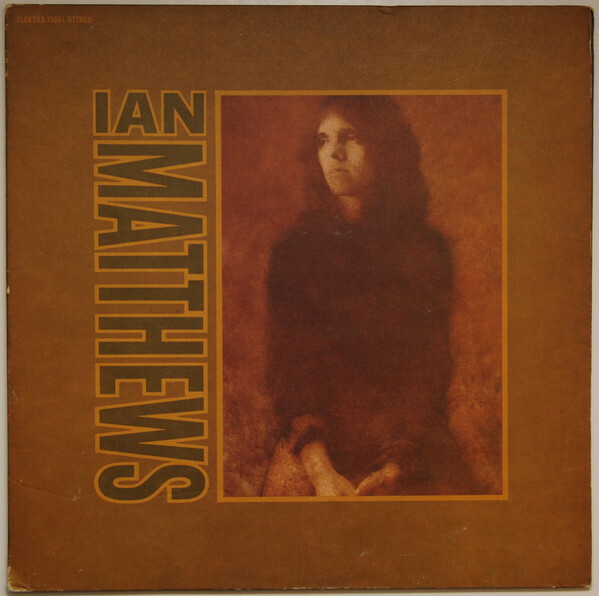 While the Elektra Records’ years weren’t the most successful years of Ian Matthews recording career, he released two albums that ooze quality. The first of these albums was Ian Matthews’ oft-overlooked 1973 country rock masterpiece, Valley Hi. It was followed up by Days You Eat The Bear…Some Days The Bear Eats You where Ian Matthews reinvents himself and switches between the LA country sound, soft rock and the West Coast Sound. It was a carefully crafted album that featured slick, radio-friendly music. Despite its undoubted quality, Days You Eat The Bear…Some Days The Bear Eats You failed to find an audience. For Ian Matthews, these two albums were the ones that got away. Forty-three years after Ian Matthews left Elektra Records, BGO Records have remastered and reissued Valley Hi and Days You Eat The Bear…Some Days The Bear Eats You. Both album ooze quality and are a reminder of what was an oft-overlooked period in Ian Matthews’ career, the Elektra Records’ years. 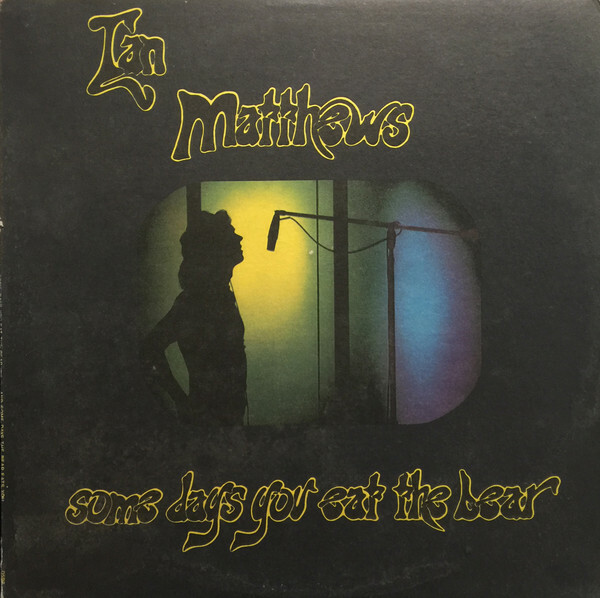 Ian Matthews-Valley Hi and Days You Eat The Bear…Some Days The Bear Eats You. ← FUZZY HASKINS-GOT MY THANG TOGETHER: THE WESTBOUND YEARS.